What's on Netflix > Netflix News > When will Part 2 of Trollhunters be on Netflix? When will Part 2 of Trollhunters be on Netflix? Update (02/15/2017) – Trollhunters has officially been renewed for season 2 with the release date scheduled for 2017. Read below for our prediction. The first part of Trollhunters, the brand new Dreamworks animation show from the mind of Guillermo del Toro arrived on Netflix on December 23rd, 2016. The first season or as they’re called it, part 1, arrived with 26 episodes which for a show which they’re splitting in half, is an awful lot of episodes. You’re probably looking for when the second half will be on Netflix, right? Let’s find out. 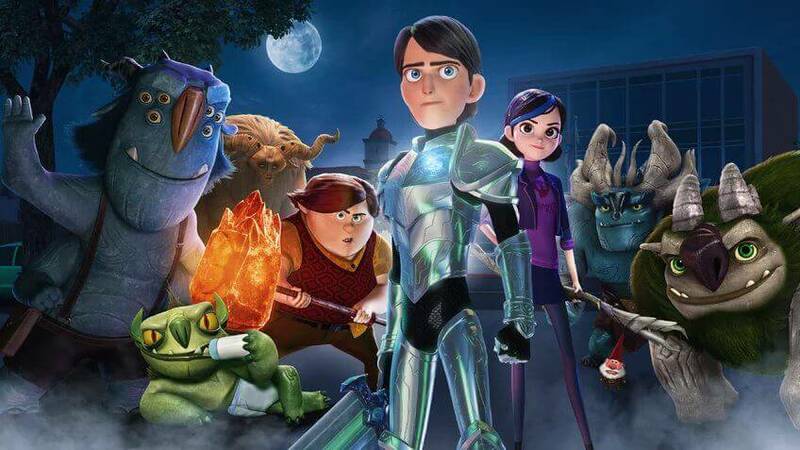 Trollhunters is the latest series to come out from Dreamworks in a longstanding relationship where we’ve gotten new series based on hit Dreamworks films. Trollhunters is something a little different for the creator in that it’s a completely original series and is animated. It’s also different for a Netflix Dreamworks series in that it’s not based on a movie rather a book written by Del Toro himself. The series follows a fifteen-year-old who finds a magical amulet that makes him a warrior who has to keep the trolls safe that lies in an alternative universe. Now, you’ll notice the first 26 episodes are collated into parts as opposed to seasons. This isn’t by accident and is likely a clue as to the fact we may only be getting one more season as such. That’s yet to be confirmed but given how many episodes are in the first part; you’d have thought they’d have called it a season. Netflix has split its seasons a few times before with the likes of The Ranch and more recently, Black Mirror. In the case of The Ranch, it was six months before the second part came to Netflix, but with Trollhunters we think it may be up to a year before we get the second half. This is purely based on how many episodes we’ve had so far and the fact that animated series takes a long time to produce. There is one big factor that could push the release date back even further, though. As you may know, the lead voice actors in the show are Anton Yelchin who sadly passed away in 2016 but completed the majority of the first part. Finding a replacement may push dates back even further but it’s unclear as to what effect this will have. Obviously, we’ll let you know if anything changes but right now, we think that part 2 (season 2) of Trollhunters will be available on Netflix in December 2017. Next story When will Season 6 of Once Upon A Time be on Netflix?